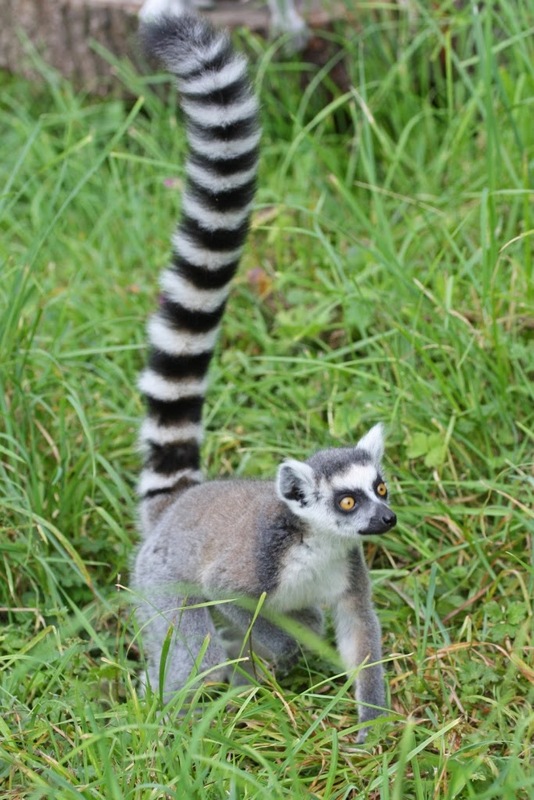 An e-petition that can really make a difference to primates in the UK. 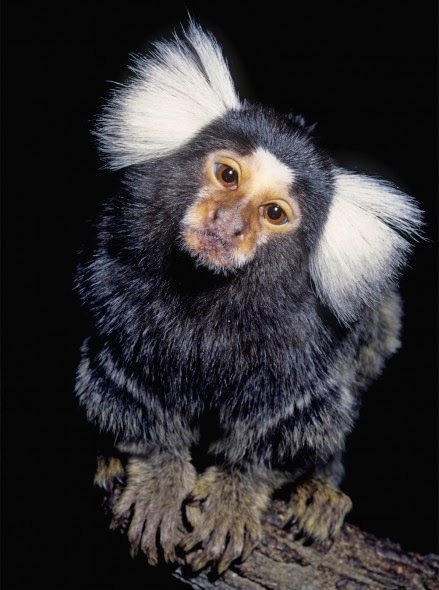 Some, like Marmosets, you do not even need a license to own, and even the ones that do there is an extremely high non compliance rate.Wild Futures (a primate welfare charity) estimates there are at least 5,000 privately owned primates as pets in the UK. Wild Futures has recently launched a new official Government e-petition on banning primates as pets in the UK, which reaches a debate in parliament if it reaches 100,000 signatures. 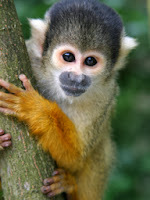 This is light of the new EFRA inquiry reviewing primates as pets, click here for information. Please sign and share this e-petition and show the Government keep primates as pets is wrong and it should be banned - click here to sign the petition. Only together can we make a stand here and now and end this ridiculous pet trade. Generations will look back on what we do today and ask us what did we do. Lets tell them we did the right thing. Please read on for more information on why primates do not make good pets. Primates suffer mentally and physically as pets as they are often kept on their own, in small, confined environments without much stimulation or the correct diet. Some of Wild Futures rescued primates have diabetes (not found in the wild) while nearly all sort of repetitive behaviour problem; like head twisting or clapping. None have suffered more than Joey. 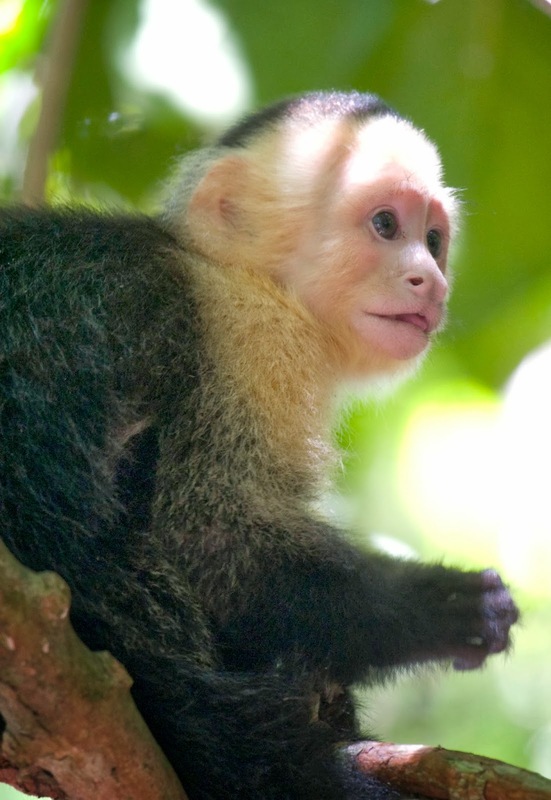 "Joey is a black-capped capuchin monkey with a sad past and a much brighter future. He was rescued by wild futures when his owner abandoned him. Joey had been caught in the wild in South America and transported to Camden Town, London where he was kept in a flat for 9 years. Joey had been living in a cage measuring 6ft/3ft/3ft and was kept company by a large-screen TV. He was left in the cage for 22 hours every day and due to this lack of exercise, a poor diet, cramped living conditions and lack of sunlight, Joey developed weak bones, a curved, fused spine and other disabilities that mean that later in life he will suffer from osteoporosis and other bone conditions. More disturbingly, when the primate welfare team from the Sanctuary first came to rescue Joey they found him displaying repetitive and contstant sterio-typical behaviours, where he would rock backwards and forwards in distress." "Although the Monkey Sanctuary's vets were initially pessimistic about Joey's chances for survival and for the quality of life that he could lead with his disabilities, Joey suprised us all. On the third day he was here in Cornwall he finally emerged tentitively from his indoor enclosure and came out into the outside, feeling the sun on his face and bones finally, after ten years. Joey will never have the same stamina or abilities as the other monkeys but he can walk, climb, run and jump and is capable of socialising and playing." Now having been at the Wild Futures Monkey Sanctuary for many years Joey has a best friend Kodak who is a very large capuchin and takes care of Joey. Finally thanks to Wild Futures Joey will be able to live the best life possible with the protection he deserves. Why are we still testing on animals? In March 2013 a complete and total ban on animal testing for cosmetics was implemented in the EU (BUAV report). This was and still is fantastic news, however, we still allow animal experiments to continue for medical research. 4,033,310 animals were used last year for medical experiments in the UK, which is an increase of 9% from 2011. Among those animals being tested in are well over 2,500 primates in ten laboratories around the UK (1). This is in spite of overwhelming scientific research showing us that this is no longer necessary, just look at the Dr Hadwen Trust. The arguments for animal testing no longer stack up, for example, one often used pro argument is that we have to test on animals to know it's safe for humans. Well humans are vastly different from the animals used in testing and there have been many cases of drugs going horribly wrong; after having no negative results in animals. Arthritis drug Opren is known o have killed 61 people. Over 3,500 cases of severe reactions have been documented. Opren was tested on monkeys without problems (2). Another one is that there are no techniques to replace animal testing, well that is also wrong. There are many ways to replace it and here is a list of them - click here (point 9). Above all it is just immoral and wrong to abuse the lives of animals in such a heartless and cruel way. I was going to include pictures of what really goes on in these labs, but I decided not to. There is a link at the bottom where you can see some. Yesterday I went on a protest organised by the Anti-Vivisection Coalition (AVC), below is how it went. AVC's first ever UK protest was to free the primates being kept at the National Institute for Biological Standards and Controls (NIBSC). I joined over fifty other people that chose to spend their Saturday afternoon in the cold making a stand against the suffering these animals have to endure. The main purpose was to raise awareness of what this lab is doing and I caught up with the Head of the AVC, Luke Steele, to see how he thought the day went. "We have been in local newspapers, on the radio and TV and have reached over 100,00 people who did not know this lab was here and what experiments it carried out." When I asked him about if the NIBSC had been in contact he continues "we have not had any contact with the NIBSC apart from coordinating the protest, the directors just don't want to talk to us." Luke said the next step is a protest in central London outside the Medicine and Healthcare Products Regulatory Agency head office. They run the NIBSC and this will be a high profile event that should attract even greater media coverage. The AVC's goal is to end all animal experimentation and they believe animals deserve a right to live without fear or pain. The biggest scandal that I learnt about while involved with the AVC protest is that the NIBSC is wholly owned by the British Government. The primate experimentation programme is funded through public funds. This means that the tax I pay goes someway to support what truly disgusts me, so I am well within my rights to put an end to this. It also makes me think about what else my money is going towards and why it is so important for everyone to lobby their MPs on these issues. At the end of the day what we have is an old out of date system that needs complete overhauling. Just because we have used animal testing in the past does not validate for why we continue to use it. Without the people and organisations standing up to end animal experimentation this cruel practice will continue and the truth will remain untold. 99 problems but meat ain't one! I am sure you have heard about Beyonce and Jay-Z embracing a Vegan diet for 22 days leading up to Jay-Z's 44th birthday on Christmas day. Jay-Z seems to be leading the charge and the main reason behind this seems to be one of health and cleansing driven by their personal trainer who is a Vegan. He added: 'It just feels right! So you can call it a spiritual and physical cleanse. I will post my progress. Any professional vegans out there that have any great food spots please help out! Please! For me this is fantastic as they are worldwide celebrities with huge fan bases and influence. I have already seen loads of messages left by fans saying how this has inspired them to find out more about plant-based food. The impact of this on saving animals from being slaughtered could be massive. Unfortunately some members of the Vegan community have only been negative about this picking up on the fact that Beyonce does wear fur and other animal skins. Also, she was seen wearing fur the day after this announcement came out, a bit of a silly blunder her PR team should have picked up on. Now I am in no way defending this as I am sickened by the slaughter and process that goes on with animal products such as fur and leather. What I will say is that the fact they are trying a Vegan diet means it is getting into worldwide news, and media coverage we could only dream about. I don't care if they are only using it for a fad spiritual diet or jumping on a bandwagon, great, jump on and jump high. Everyone who embraces eating or wearing less animals in their life makes a big difference, especially to the perception of what a Vegan is or what plant-based food is. It is unrealistic to think that once someone tries to embrace aspects of Veganism it will all happen in one go. It is a transitional thing that one learns more about while going down that path. I went Vegan 6 1/2 years ago and it took me the best part of 6 months to realise things I couldn't eat or what I couldn't buy. If someone had attacked me for making a mistake what good does that do. Who is going to want to join a group of people that just make negative comments and criticise you for not doing it, as they perceive, correctly. I know some vegans who rather than wearing an old pair of leather shoes bought before turning vegan (which in my eyes has zero impact on cruelty and environment) they wear a new plastic pair perhaps made from a sweat shop in China. That is extremely damaging to our planet and to human rights. I know what the definition of a vegan is, but you have to look at the wider picture. Lets all be happy, positive and support anyone who wants to do anything remotely connected, like not eating meat for one day. If everyone did that it would make a profound difference to animals saved and the impact upon our planet. What links the photos above? They are all Vegan & all different, there is no stereotype. Perceptions are changing and this will only help it. I was in a meeting the other day and they said grab some food, I said "I'm Vegan", they said "Oh, you don't look like a vegan". We must end that vegans have a certain look, anyone can be vegan and be........well normal, well nourished and level headed. We must support what people like Jay-Z are doing and encourage it more.